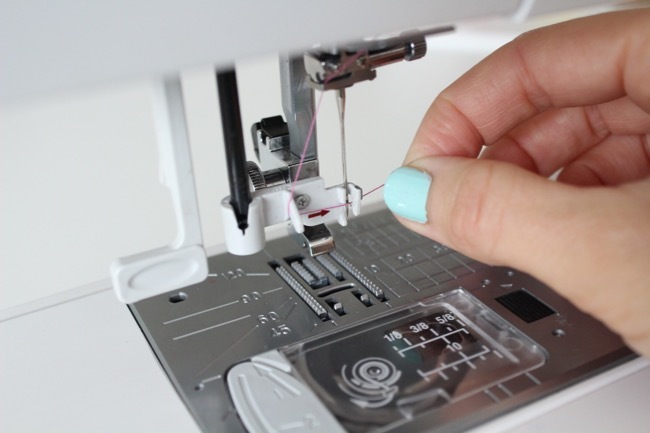 When you’re itching to get on and sew, the last thing you want to do is fall at the first hurdle – threading the sewing machine needle! Your thread may well have fluffy bits at the end that are getting in the way when you try to insert it through the eye of the needle. 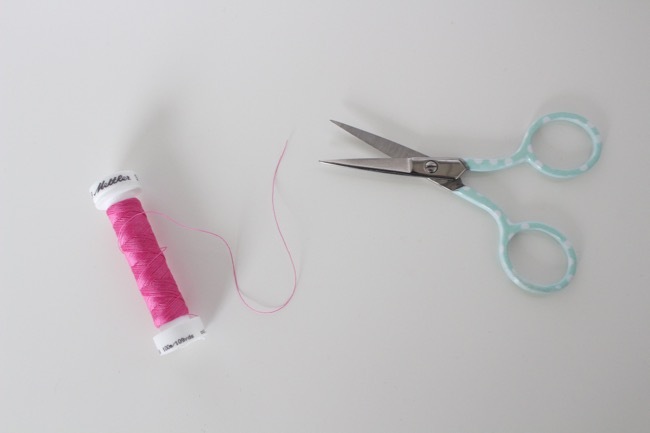 Grab a pair of scissors and snip off the end - if you cut at an angle it'll be even easier to get it through the tiny hole. Also - lick it! Yeah I know it sounds gross, but we’ve all done it, non? Licking your finger and tightly pressing the end of the thread with your wet finger and thumb can help seal any fraying ends of thread. Sssshhhh! The eye of the needle is teeny tiny – trying to get thread through it in a dim or shadowy room is really hard. Get some extra light with a desk lamp or the torch function on your phone. 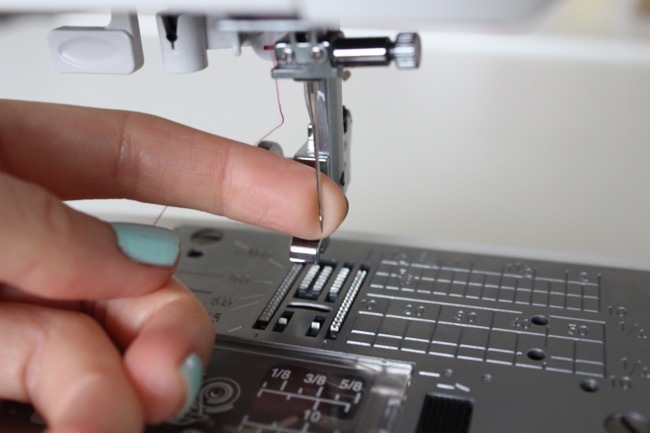 Of course you can always use the light of your sewing machine too – just be extra careful you don’t accidentally start sewing when the machine is on! Place your finger behind the eye of the needle and you should find it easier to see exactly where you’re trying to insert the thread. 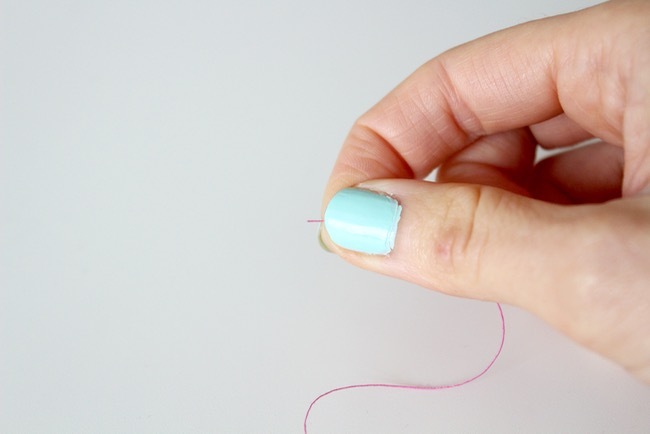 Hold the thread as close to the end as you can while still having a few mm to insert through the needle. That way you'll have a lot more control over getting it in the right place than if you are trying to thread a couple of centimetres. If all else fails, there are gadgets! 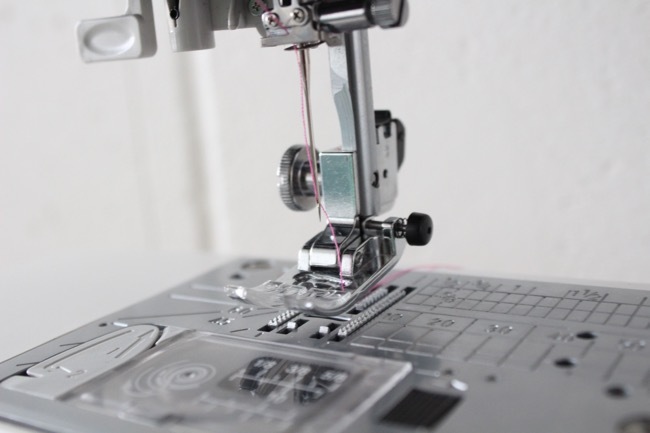 Many sewing machines have an automatic needle threader attachment included. 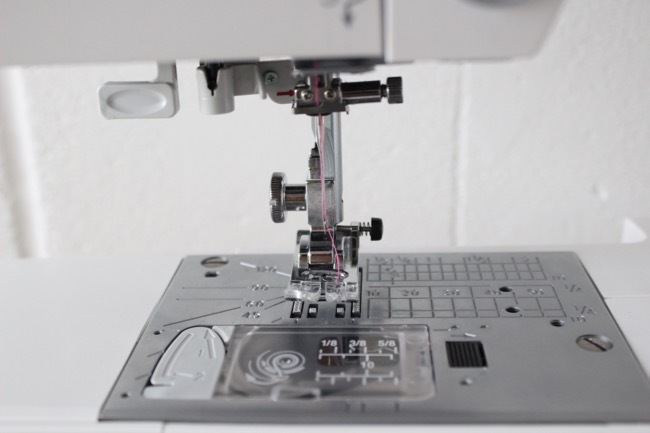 Check your sewing machine manual in case yours works a little differently, but on our Janome DKS100 machines what you do is this... Pull down the little lever to the left of the needle as far as it will go - if you look closely, you should now see a teeny little hooked wire through the eye of the needle. Wrap the thread to the left and under the plastic hook in the middle, pull it to the right just in front of the needle, hooking it into the little wire. If you let go of the lever on the left - or push it up - the wire should pull a big loop of thread through the eye of the needle. If you don't have this on your machine, or if the little wire breaks (as they can do easily), you can try out a separate needle threader, such as this one (I haven't tried it myself, it just looks good). Remember to check that the thread is going from front to back through the needle and that it isn't twisted. I hope you found this helpful! 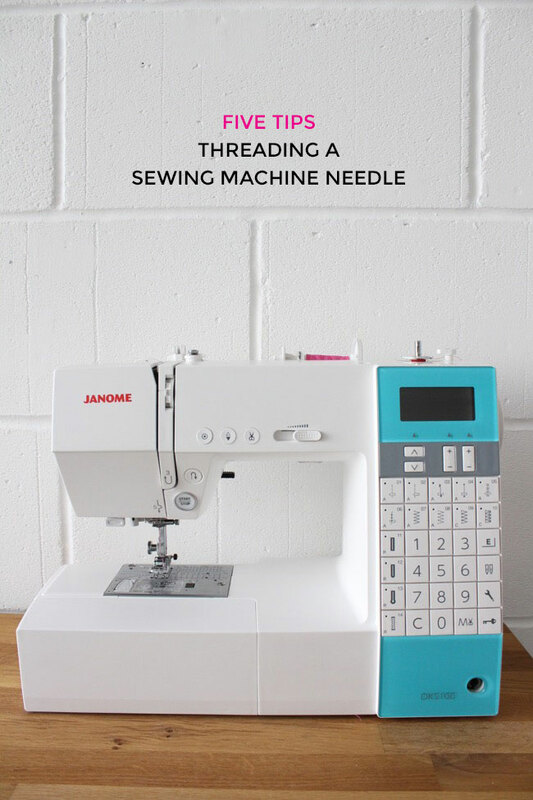 Do you have any tips on threading a sewing machine needle?